Cherry Mobile aims to continue to dominate the local smartphone market with their newly launch Flare Premium devices. 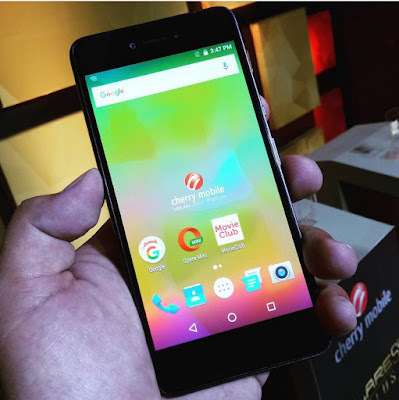 Among the six phone models unveiled last night, the Cherry Mobile Flare 5 has the most affordable price tag, and yet, it still packs enough fire power and other amazing features. The handset is powered by 1.3GHz octa core MediaTek MT6753 processor coupled with 3GB of RAM for smooth multitasking, these combinations of chipset and memory is the same across all Flare S5 devices, giving you an assurance that it will perform similarly, if not the same with its siblings. Storage wise, it has 16GB on board, but can easily be expanded up to 64GB via micro SD card. Photography enthusiasts will be delighted with its 16MP BSI main camera with phase detection auto focus and accompanied by an LED flash, while those who loves taking selfies can take advantage of its 8MP front shooter. After that, you can immediately view your photos or videos on its 5-inch HD AMOLED display. Other major specs are Dual SIM with LTE, 2,500mAh non-removable battery, Android Marshmallow OS and the usual sets of connectivity and sensors. By the way, it is the only handset without a fingerprint scanner among all Flare Premium series. Based on our initial encounter with it, we can say that the back design and display output are good, not to mention it is pretty lightweight too! One thing we wish thought is a slimmer lower bezel as it uses on-screen keys. Its SRP is Php5,499 and expected to hit the market before the year ends.